Antioxidant contain a mixture of beta carotene ,vitamin C and E and minerals like copper ,manganese , zinc ,selenium all of which have synergestic antioxidant effect. It effectively terminate free radical activity ,implicated in tissue damage . Antioxidant enzyme superoxide dismustase ,catalyse and glutathione peroxidase help to catalyse the reduction of oxidants primarily inside the cell . 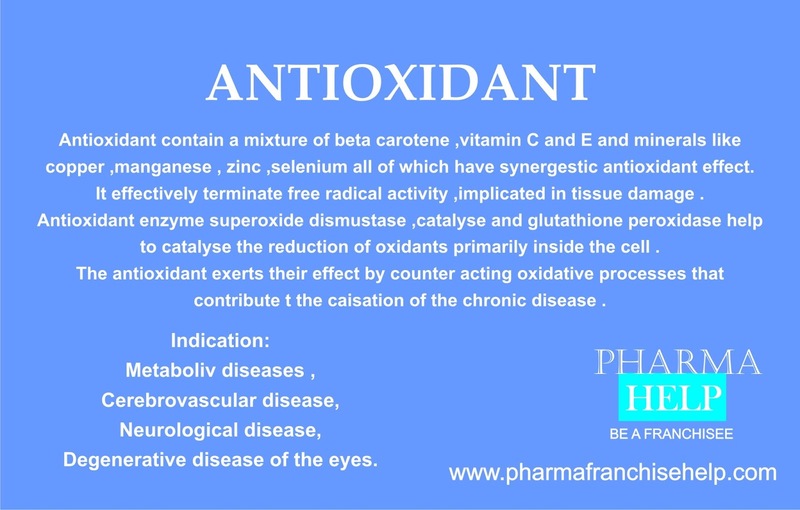 The antioxidant exerts their effect by counter acting oxidative processes that contribute t the caisation of the chronic disease . Degenerative disease of the eyes.